As Summit’s Architect-of-Record EI Associates recently completed the design of two-story plus lower level addition to the historic Franklin Elementary School. 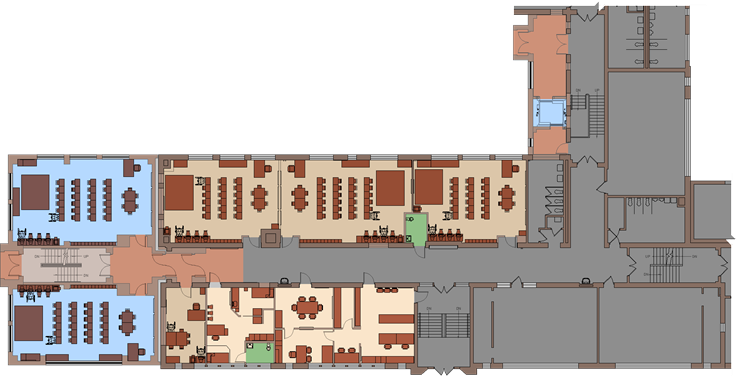 The addition houses four classrooms, four small group instruction (SGI) rooms, an elevator and support areas. The addition is designed as a brick structure, incorporating stone quoins and details reminiscent of the original building. As part of this project, the existing building is being renovated to improve security. EI provided complete architectural and engineering design and construction phase services for this assignment.